I invite you to imagine me speaking the James’ Ideal Client paragraph (see below) to your friends, colleagues, family members, students, clients, community members, and other important people in your sphere of influence. When you read it, who comes to mind that embodies the qualities I mention? I kindly request that you refer those people to me for personal tarot consultations. My work, and the work of so many self-employed visionaries, relies on such person-to-person referrals and I deeply appreciate them. Thank you in advance. As my ideal client, you remember that at your core you are creative, resourceful, and whole. You realise that your personal wellness and the wellness of the entirety of life are interconnected. Your ability to be in the present moment empowers you to gain insights and make conscious choices that reframe the past and sculpt the future. As my ideal client, you are rooted in practice rather than dogma. You work with me in an interactive, co-created manner that is mutually enjoyable and enriching. Your balance of intellect and intuition enlivens our dialogues. So, what’s happening with YOU right now? Have you accepted it? How are you working with it? ACE OF CUPS, upright. Family’s essence is the desire to love and be loved. It’s the seed of intimacy with others. It’s the starting point of co-operation, teamwork, emotional expression, and closeness. There are many forms of love and many people in our lives who can give and receive those expressions of love. Make a list of people that you love. Name the form of relatedness that you share with each. Go through your face-up tarot deck and choose cards that most look or feel like each of these relationships. What richer story about each personal connection do you gain from these cards? Happy Valentine’s Day! For the last few days, I’ve been wishing for a tarot renaissance like that of the mid/late 1970s into the late 1980s and early 90s. A lot of juicy stuff was coming out at that time. A blossoming of new decks, including round ones and quirky hand-drawn images, books that took tarot out of a power-over fortune-telling paradigm into an egalitarian insight paradigm, symposia, and much more. The cards were explored though the lenses of psychology, feminism, cross-cultural anthropology, meditation, and many other disciplines. 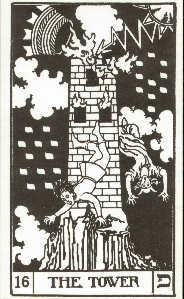 Tarot personalities who are now considered tarot legends were going out on a limb with cutting edge material. Publishers actually dared to print this cool new stuff instead of the usual beginners’ pablum. There are still good things happening — the Tarot School puts on the Readers Studio, Thalassa offers the Bay Area Tarot Symposium, and Barbara Rapp’s Los Angeles Tarot Symposium still draws people — but I sense sometimes that there are some tarot people who think they already know it all, that they don’t need to stretch, don’t need to hear anyone else’s opinion. I might have my ways of working with the cards, but I’m interested in my colleagues’ latest innovations. I want to see a kaboom of the next right thing in Tarot Land. Please let me know when you see it. 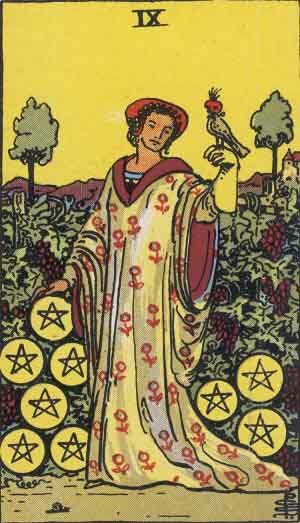 To keep your tarot reading sharp, it helps to fine-tune your skills and shake up your comfort level. Read a tarot book by an author you don’t know. Use a deck you don’t like. Attend a tarot conference or class. If you do predictive readings, try being therapeutic. If you do therapeutic readings, try being predictive. If you don’t usually read reversals, give it a shot. Start a tarot practice circle. Try whatever feels a bit on the edge for you. You’ll stretch yourself in good ways.